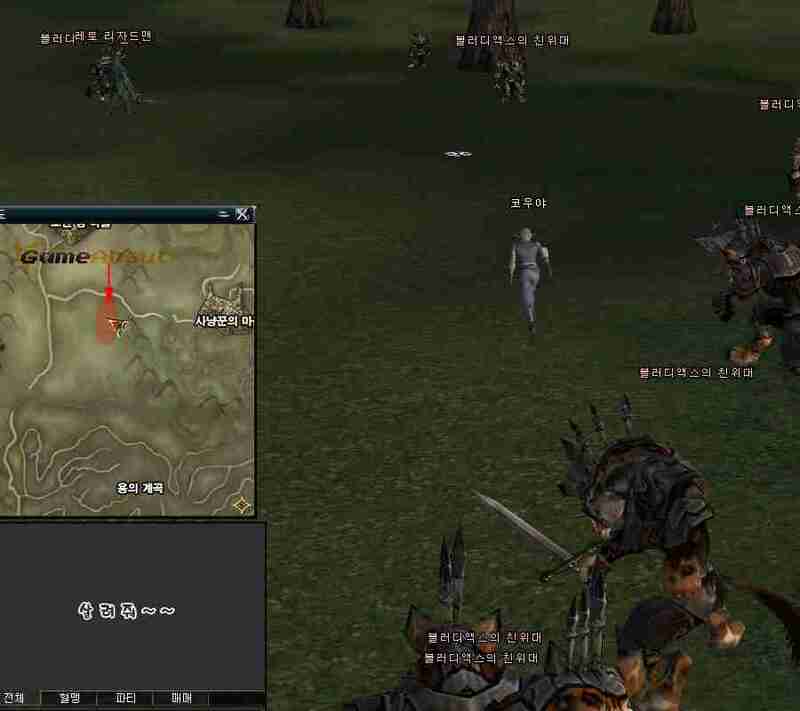 The quest begins with the Veteran Ascalon who stands right by the weapons shop in Giran. He will send you to Dion Castle Town to talk to Mason. [If you are facing the warehouse in Dion, he is to the left at the end of a building. Walk along the city wall to see him.] 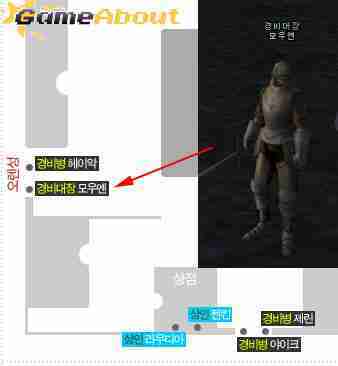 Mason will tell you to go and collect 100 heads from the Bloody Axe's Royal Guards. Anyways, you have to get 100 heads and then return to Mason. Then Mason will give you a letter as a quest item. You have to take this letter back to Ascalon in Giran. Then he will tell you you have to go talk to the storekeeper in the magic shop. The magic trader will tell you to go collect 30 Medusa's Poison, 30 Harpy's Eggs, and 30 Windsus' Sap. 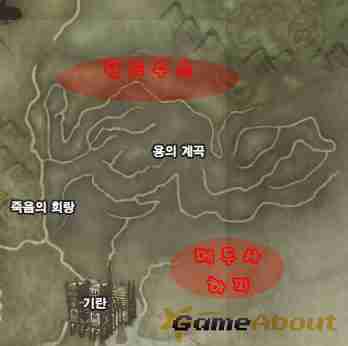 The region shown is Dragon Valley and Giran Castle Town. The red area at the top is the location of Windsus. 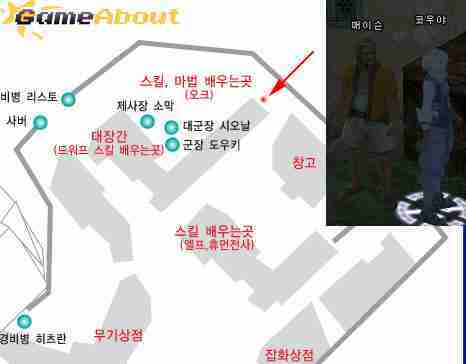 The red location at the bottom-right is where Medusa and Harpy are. After you have collected all of these ingredients, again you will receive a letter. Take this letter back to Ascalon in Giran. And if you talk to him, again, you'll have work to do. You will now need to go to Oren Castle Town and speak with Captain Moen. If you talk to Moen, you will have to go collect 100 Road Scavenger's heads. Then once you come back with the heads you will have to go collect 100 Leto Lizardman's teeth. Region pictured is Oren Castle Town at top and Dragon Valley at bottom. 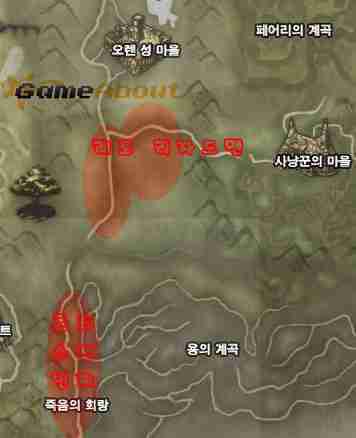 Bottom red area is where the road scavenger spawn. Congratulations, you have completed the Judgement of Champion!